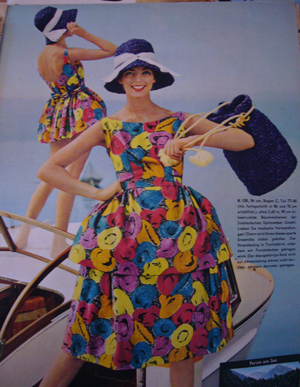 In 1961, if you were German and seamstressy and about to embark upon a lovely trip to the beach (Strand und See, sehr schön! ), you’d be chuffed with the offerings of BEYER Mode Magazin. Eagle-eye Moggy spotted these at Camberwell Market last weekend. We got two each. 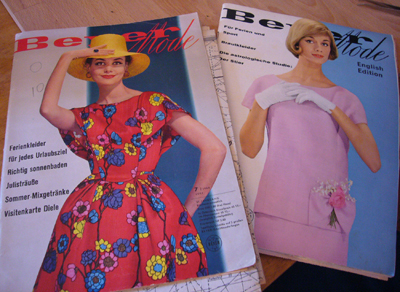 The pictures are amazing, the frocks charming, but the instructions are German or curt English and the pattern sheets are completely barmy. So, with the best of intentions, I doubt we’ll make much from them. But look at the purdy pictures! When the weather is cold, I hibernate. Not much sewing happens, really. It’s counter-intuitive to have so much stuck-in-house time without oodles of snipping and seaming and pressing. 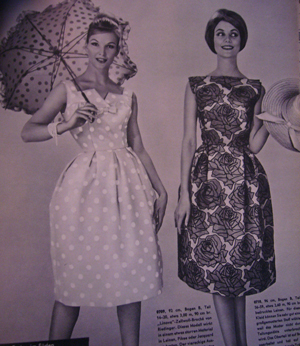 Another effect of the changing season is being thrown into confusion about what to wear. How did I stay warm last winter? But more importantly, what did I make? 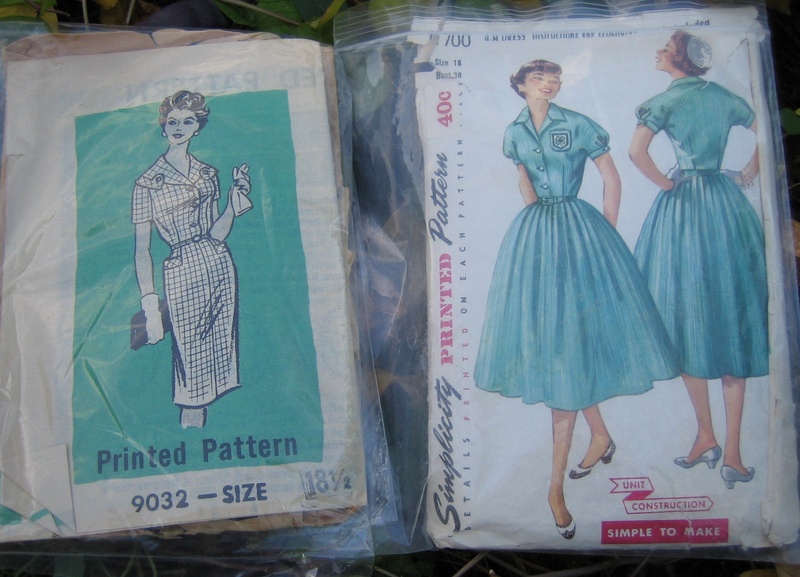 I reckon the left one made in winter-weight stuff will work nicely, and a couple of slips made from the one on the right will help me master the fine art of layering. Thanks for all the nice comments about the Post-it dress! She still has not made her debut but I will contrive a fancy-pants occasion so that she may do so. Moving right along. Whipped up a soft floppy scarf from bits of jersey left over from various projects, having met someone wearing such a thing and thought, “I can do that.” So I did. It’s very comfy. I’ve just flogged some old junk on eBay which has plumped up my PayPal account nicely. For me, eBay money feels like free money so I have no trouble spending it frivolously and on impulse. 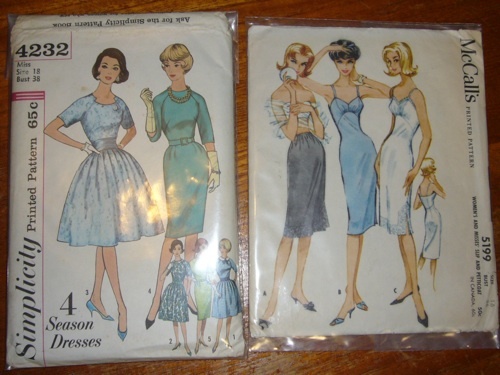 I just bought 5 1950s and 60s patterns on etsy, oh joy! 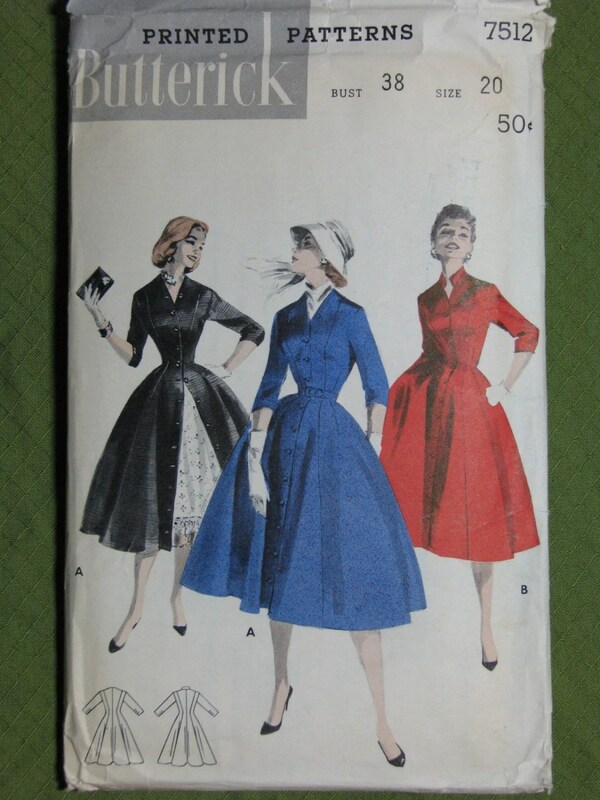 This coatdress will, I think, form the basis of a winter coat. Bung a collar on that puppy and line it, I reckon. 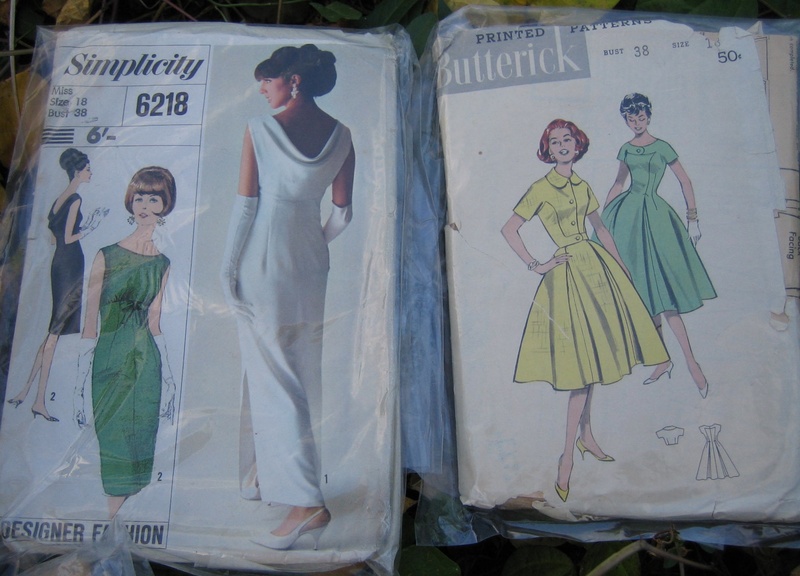 So, which of these lovelies will I make up for the Pattern Review Vintage Pattern Challenge? I think I know which one I’ll make… can you guess which one? It closes 1 May so I’d better get cracking! 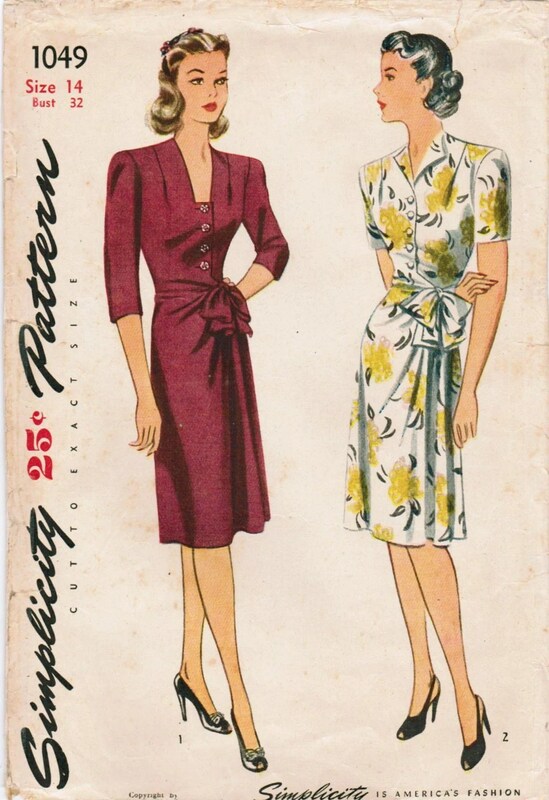 Look at this beautiful 1944 pattern – on sale here at midvalecottage’s etsy shop. 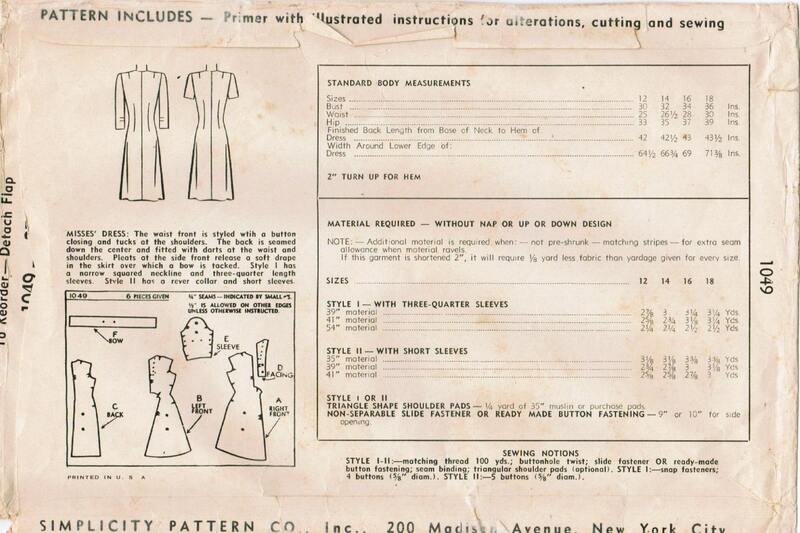 It’s a 32″ bust – way too small for me – and having a bash at drafting this from my sloper looks like more fun than pattern grading. 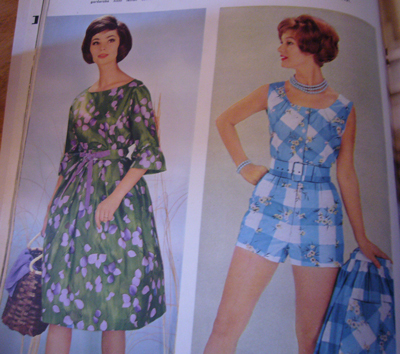 The shape of the pattern pieces provide a clue or two. One for the to-do list once my personal block is tickety-boo.